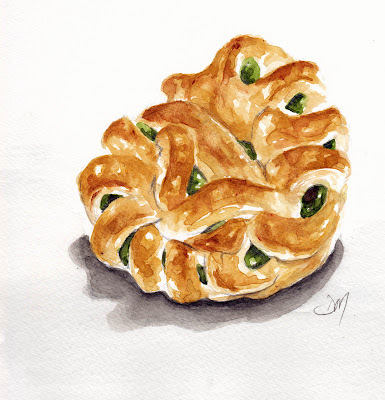 Uji Green Tea and Red Bean Danish, breakfast for tomorrow......bought on the way home from work. Seriously? Green tea and red bean danish? What does it taste like? Your painting is great! Everyday in May # 17 another feather.